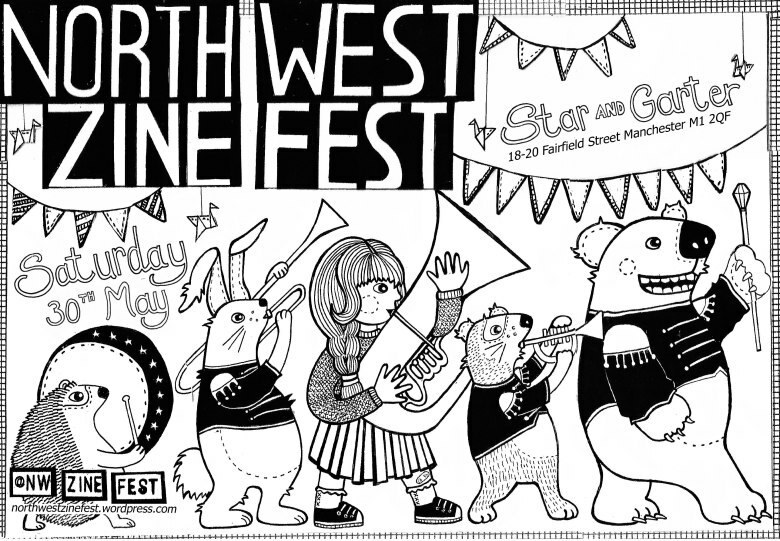 I’ll be tabling and running a zinemaking 101 workshop at the inaugural Northwest Zinefest in Manchester on the 29th of May at the Star and Garter, and having a nice mini-break in MCR and seeing friends. Check out the Facebook event and the website. It’s organised in association with the Salford Zine Library, who have built up an excellent collection over the last few years. They are still looking for zine donations for the library- more details can be found here.